What is a Short Sale San Diego? How Much Will a Short Sale Cost Me? How Will a Short Sale Affect my Taxes? …or else WHAT? – you say. 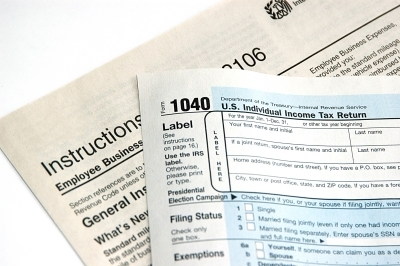 Every year, more than 15 million Californians practice their ritualistic tax filing. Of that group, about 7 million of them take an additional tax deduction from their tax return that the rest do not. This is the California homeowner, who typically has enjoyed the benefit of deducting the dollar amount of their property taxes on their state tax return. Keep blindly doing that, and you’ll likely be hearing from the state Franchise Tax Board. Why, you say? Beginning in 2013 (that is, for your 2012 tax-year and beyond), the California Franchise Tax Board (FTB) will be enforcing an old rule, laid out in 1982. The Mello-Roos Community Facilities Act enacted by California legislature in 1982 specifically calls out Mello-Roos as non-deductible. Well, thanks to apparent new efforts to close a $16-billion state budget deficit (and a debt load larger than that of Greece’s! ), the FTB will now require homeowner taxpayers to break down their claimed property taxes. Well, it turns out, that it’s more than that. It’s more about the way that we obtain our property tax information and then report it. You see, most taxpayers will look for “total taxes paid” on their Form 1098 issued by their lender, or look for that dollar amount on a recent mortgage statement. And for those that don’t have a mortgage or pay their property taxes themselves, their recent property tax statement’s “Total Due/Paid” where they locate their figure. That dollar amount is the number most often reported on the tax return. The problem here is that the Mello-Roos and other special assessments (vector control, fire district assessment, etc.) are not separated out on the Form-1098 or mortgage statement. And, those are the dollar amounts that the FTB will soon begin enforcing as non-deductible. Specifically, the state FTB will require that you break down those different amounts, between the deductible and non-deductible values. You think this doesn’t apply to you because you don’t have Mello-Roos? Well, that’s not the case. Ad-valorem taxes are those that are assessed by the county treasurer-tax collector based on the value of the real estate being assessed. In contrast, the non ad-valorem taxes are the fixed special assessment charges that are not based on the value of the real estate. Almost every parcel of real estate in San Diego county will be assessed with both ad-valorem and non ad-valorem taxes. The non ad-valorem taxes will be different in each city and community. These will include vector disease control, state and municipal water fees, fire district and ambulance fees, sewer service charges, and Mello-Roos items (such as school, road, infrastructure fees). Non ad-valorem taxes are non-deductible. So, do you want to know how to do it right? Let’s look at an example tax bill below so you know what to look for and how to report it. In San Diego county, we are assessed by Mr. Dan McAllister and crew at the San Diego County Treasurer-Tax Collector office. Property tax bills are mailed to the registered owner’s mailing address in late-September of each year. Like many homeowners, your property taxes are impounded in your monthly mortgage payment with your lender, and are then paid directly by your lender. So, you toss it in the trash or in the “important stuff” drawer. Or, if you do not have an impounded account or a mortgage at all, you pay the property taxes yourself by a mailed check, online, over-the-phone, or in person. Well, now tax-time has rolled around and you can’t find the property tax bill. Well, fortunately, with a few mouse clicks, you can view and print your property tax bill. Go to www.SDTreasTax.com. Look for and click on “Pay Your Bill Online.” Look for and click (again) on “Search or Pay On-Line,” which will open a new window to begin your search. Enter your address or parcel number, and there you have it. As you see above, the taxes assessed based on value, have a net percentage value of 1.165% of the value of the home. These are the ad-valorem taxes, that are tax deductible. Below that are the “Fixed Charge Assessments” of an additional $507.20. These are the non ad-valorem taxes, that are unfortunately not tax deductible. Until further notice, or until we can get a local assemblyman to put some pressure on Sacramento on this topic of homeowners being taxed on a tax (!!! ), just do it right. I am far from being a tax advisor. For further questions and confirmation, always consult a CPA or tax professional. It’s hard to find experienced people about this subject, however, you sound like you know what you’re talking about! The information contained herein has been provided by San Diego Board of REALTORS®. This information is from sources deemed reliable but not guaranteed by San Diego Board of REALTORS®. The information is for consumers' personal, non-commerical use, and may not be used for any purpose other than identifying properties which consumers may be interested in purchasing. IDX solution provided by (c) SpotOn Connect 2013.